Mega Omega Balance is formulated specifically to provide the omega-3 fatty acids eicosapentaenoic acid (EPA) and docosahexaenoic acid (DHA) in a near 1:1 ratio. 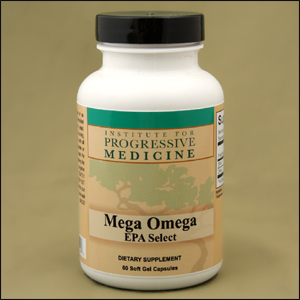 EPA and DHA are the essential fatty acid components of fish oil that are proven to support cardiovascular and neurological health. 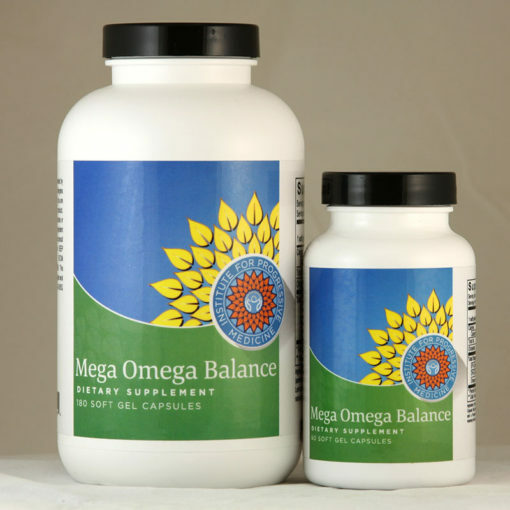 Mega Omega Balance is formulated specifically to provide the omega-3 fatty acids eicosapentaenoic acid (EPA) and docosahexaenoic acid (DHA) in a near 1:1 ratio. 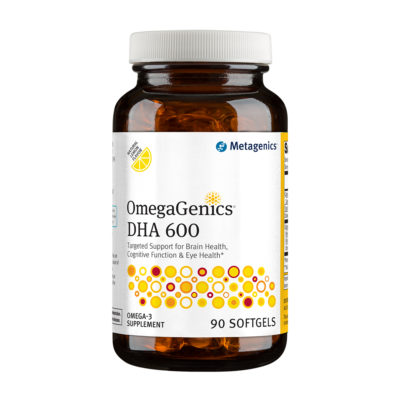 EPA and DHA are the essential fatty acid components of fish oil that have been extensively studied in the medical literature and are proven to support cardiovascular and neurological health. 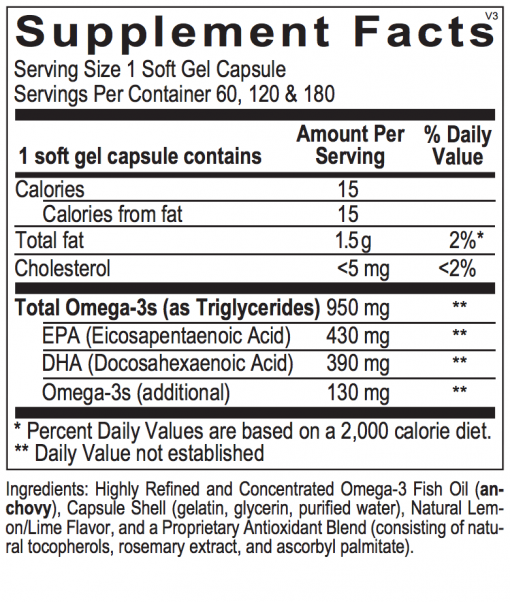 Omega 3 fatty acids are not produced by the body, and must be eaten in foods or taken as supplements. They are essential for brain development and function, and for maintaining vascular health. 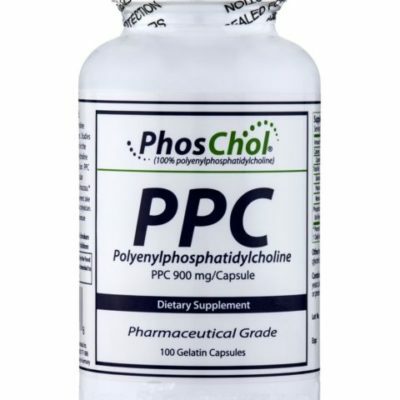 Studies have demonstrated more than a 50% reduction in sudden cardiac death, as well as stabilization of cholesterol plaque, and lowering of triglyceride levels. 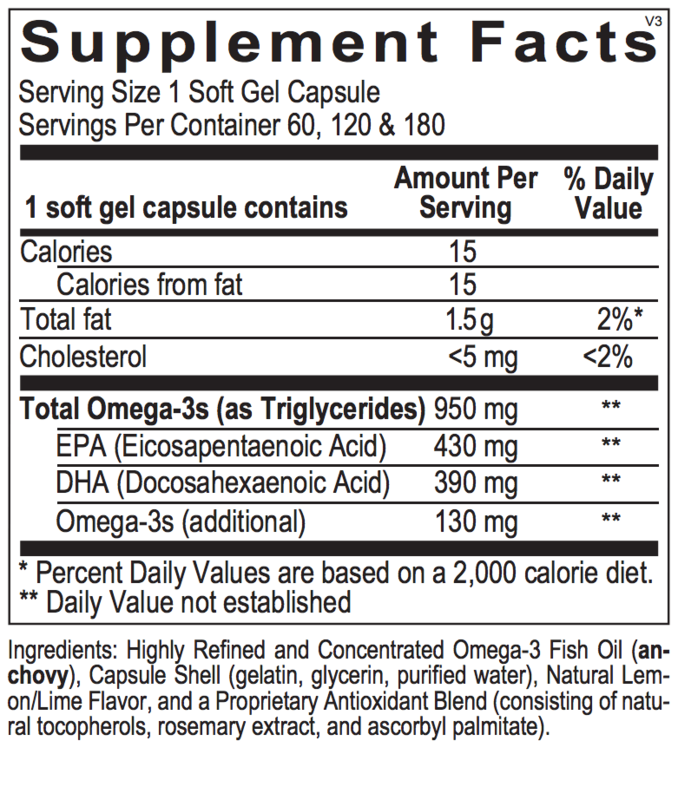 Omega 3 fatty acids are anti-inflammatory, and useful in the treatment of auto-immune disorders, including rheumatoid arthritis and inflammatory bowel disease. Take 2 capsules daily.